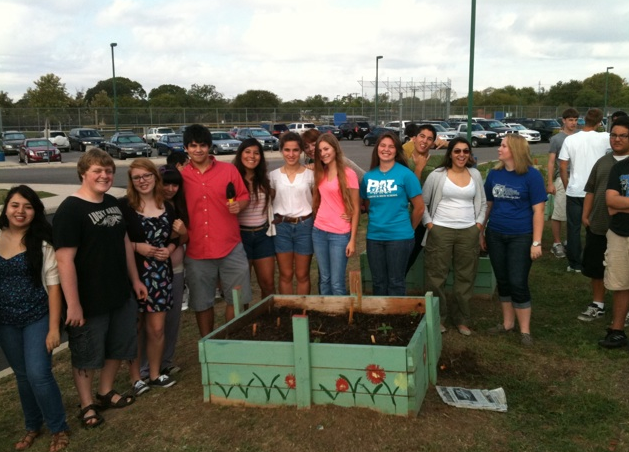 Yesterday TexasRedWorms made a visit to Mrs. Mein-Johnson’s Environmental Science class at MacArthur High School in San Antonio. We introduced European Nightcrawlers and Red Worms into a couple of raised beds. Mrs. Mein- Johnson’s class has recently been studying soil samples in their soil lab. 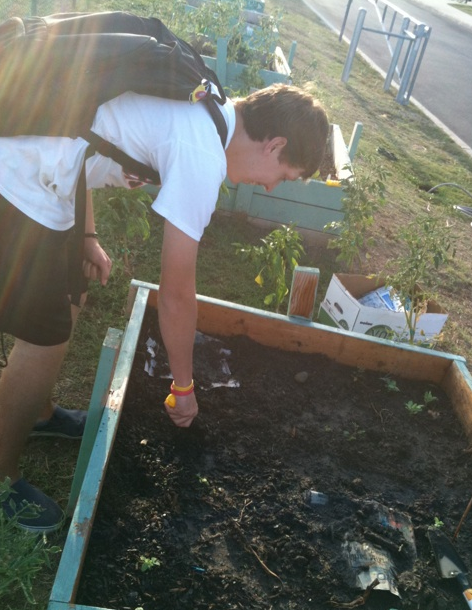 Students have also been tending their Fall gardens in planter boxes behind the baseball field. True to San Antonio the pepper crop is yielding some nice results. They will be monitoring the benefits of introducing worms to their gardens and I look forward to seeing their results.